The Administrative Court is an independent judicial organization separate from the Court of Justice. 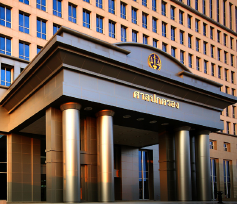 The Court has the competence to try and adjudicate administrative cases involving a dispute between an administrative agency or State official and a private individual, or a dispute between an administrative agency and an individual State official. Such disputes may be in connection with the issuance of a rule or order, with unlawful acts, negligence of official to perform duties required by the law or to an unreasonable delay in performing such duties. Disputes may also be in connection with a wrongful act or other liability arising from the exercise of power under the law or disputes in relation to an administrative contract. - A case in which an appeal is made against a judgment or order of an Administrative Court of First Instance. Survey of satisfaction with the quadrimester newsletter issued.